This is my entry for Penny Black Saturday Challenge #100 - a sketch and A Gem of a Challenge #4 - burgundy, pink & green. 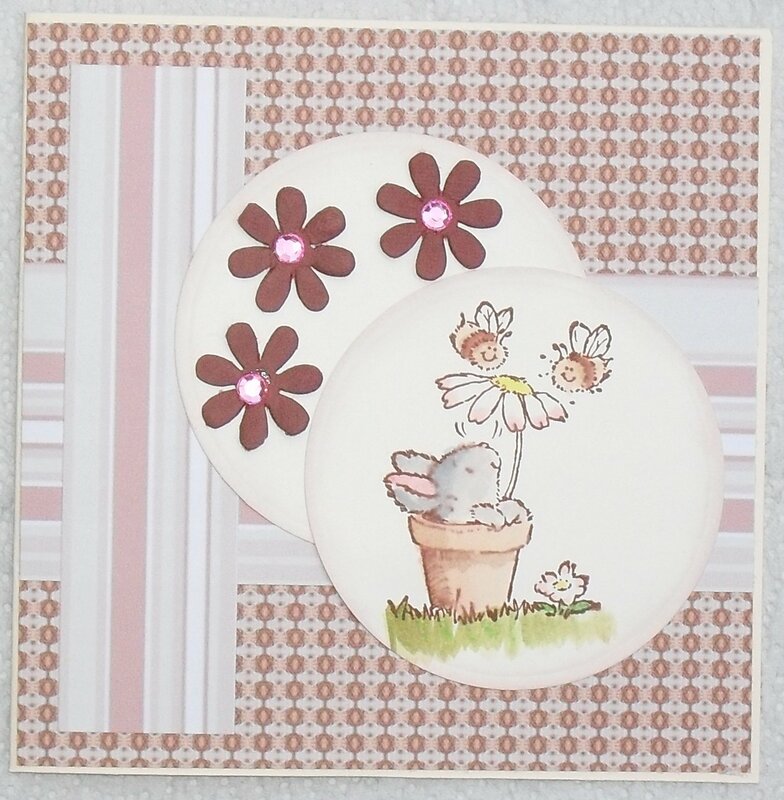 I have used a Penny Black stamp called Bees and Bunny. The image was coloured with inks, I am not used to this media but I will keep practising. The backing paper is from a Joanna Sheen CD, Victorian Christmas, the stripy paper is CC Tom Kitten CD. The circles are cut using my Nesties and the flowers are Flora Doodles. May base card was cut from a 12 x 12 cream card. Awwww! Such a sweet image! Love it! Very cute! Love this image. The papers are great and it's a fab layout. Really, really lovely card. This is a lovely "clean" card poppet, and the colouring is beautiful! look, how sweet the bees! and these light colors!! ist very elegant and soft, i love it!! Hi Poppet this is such a sweet card! Love the image you have used. Hello Poppet. Please would you pop over to my blog, there is something there for you. Happy crafting. This is just adorable! I love this cute image, and the colors you used for it! Adorable card! This image is so sweet! Thanks for joining our PB Blog Hop! A beautiful card...Great image and colouring..Thank you for joining in wit us at a Gem of a Challenge..
Gorgeous creation great take on the colour combo thanks for sharing & joining us at A Gem of a Chall. 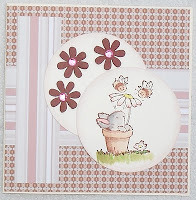 Gorgeous card Poppet, sweet image and colours.